The frenquency of bus will affect my plan to Dubrovnik in May. I'm worry a lot. Don't worry, you have busses from Split to Dubrovnik quite often ! please, could you tell me how much is it to take the bus in june between split and dubrovnik? Price vary between 90 - 122 Croatian Kuna per person one way. I am travelling from dubrovnik to split in mid july. Planning on travelling by bus. Just wondering if it is ok not to book ahead. Will there be seats? The bus between Dubrovnik and Split departs every hour, starting from 5.00 AM so there is no need to book in advance. Just go to the main bus station and buy the ticket. 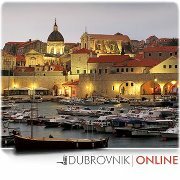 Please, do you know the price of the ticket for the bus Dubrovnik-Split? Or an aproximation. Thanks! Sorry! I didn't see the Tom's answer. Thanks again!